It was so fun to do a segment this morning on KC Live showing some DIY thanksgiving appetizer and table setting ideas. Everyone down at KC Live is so fun to work with and its always a really great experience. In the segment i showed the thanksgiving turkey cheeseball and the pilgrim hat cookies that were up on the blog earlier this month, i also showed a few projects that will be popping up throughout the week so make sure to check back to see the felt leaf runner, burlap placemat & gold dipped napkins. 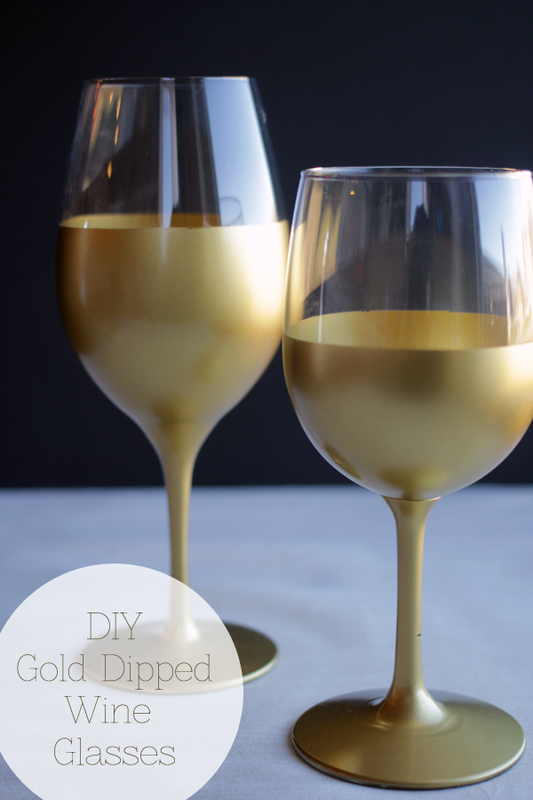 Now for the first project tutorial from the segment- gold dipped wine glasses! 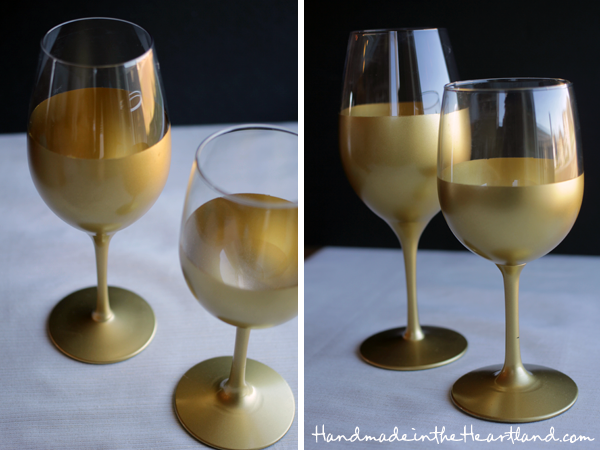 Ok so here’s the thing i don’t drink alcohol but i always have cup envy- not for whats in the cup but for the actual pretty glasses that the drinks come in. It really annoys me when i’m out with friends who do drink and so i order some fancy type of “virgin” drink and they bring it in an ugly tumbler. seriously? so i’ve decided i deserve pretty glasses while enjoying my Martinelli’s just as much as my friends do enjoying their pino. 🙂 Am i totally crazy here? maybe. but i like pretty things. So lets talk about these glasses that i painted. i love them. I couldn’t stop looking at them, kind of like when you get really dressed up and keep looking at yourself in the mirror, oh is that only me too? 😉 Lets talk about how to do it because its so easy. The first step is to mark the line where you want the gold to start, i used a tailor’s crayon but i’m pretty sure you could use a normal crayon. I marked little tick marks all the way around the glass at 2 1/2″ down from the top of the glass and then using those as guides i taped it off. Tape off everything that you don’t want to be gold. 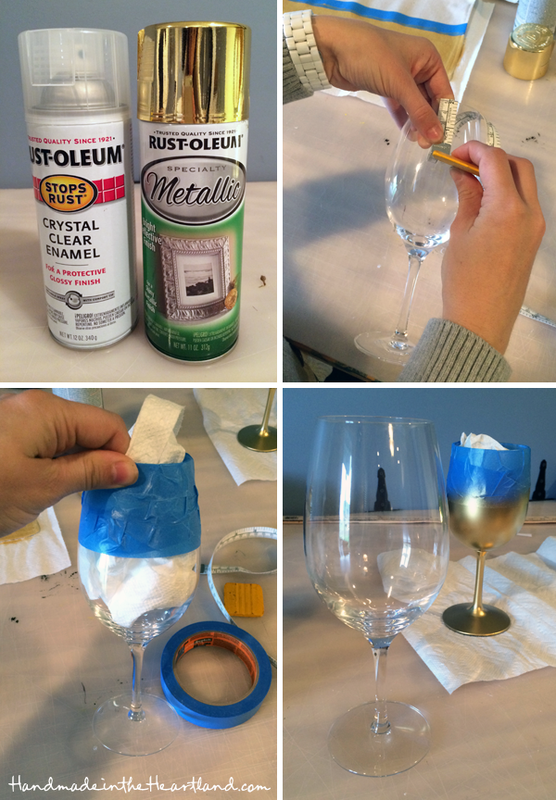 I put paper towels inside the glass and put my hand in with the paper towel to spray paint it. The trick is to put down a light layer of spray paint, i did 2 coats of gold and 1 coat of clear enamel, letting them dry between coats. Its really important to do the clear enamel to seal it because the gold will scratch off really easily without it. Let them dry and then they are ready to use!